You may a magnifying glass to read the poster. I did, and I work here. 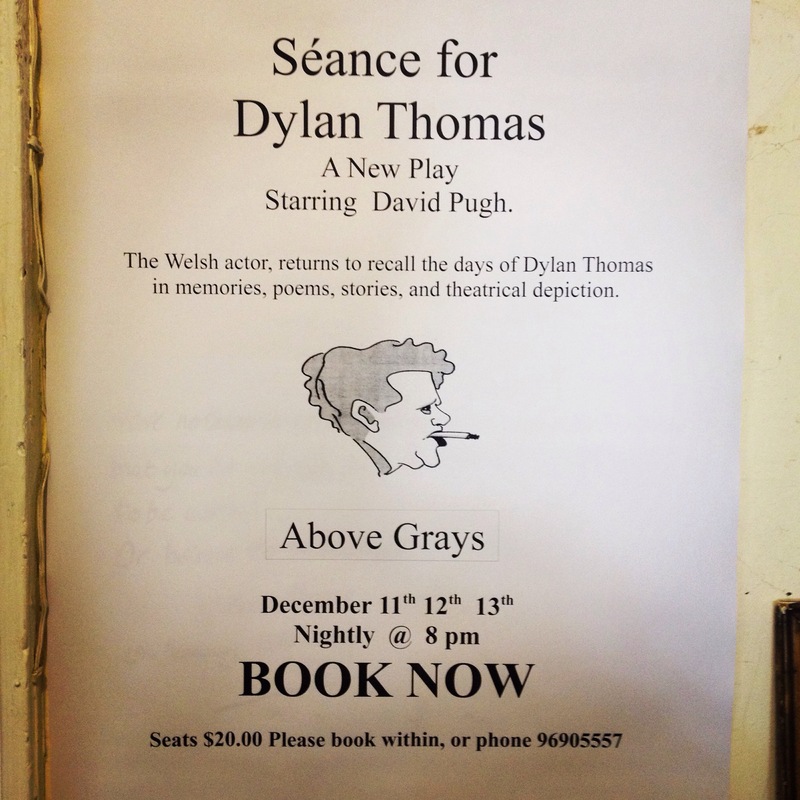 This Thursday to Saturday Richard Moss and Milijana will create a theatrical séance to celebrate the 100th birthday of the great Welsh poet Dylan Thomas. Starts at 8pm, and rumour is that every ticket includes a complimentary glass of wine. We hope he would approve.